ADD (Attention deficit disorder) and ADHD (Attention deficit hyperactivity disorder) usually begin in the childhood and sometimes continue in adulthood as well. More than half of the children suffering from ADD/ADHD experience it in their adulthood as well. However, children attention is usually given to this condition only. Adult ADD/ADHD often goes unnoticed. The truth is that it should never ever be ignored. ADD/ADHD went unnoticed in the past and the children with this kind of disease were reprimanded for being troublesome kids, bad students, loafers, dreamer or just being impossible to deal with. The real issue was ignored more often and the children ended up being scolded by parents, family and teachers. It is easier to compensate for the symptoms during childhood, however, as the responsibilities increase, it becomes difficult to manage, organize and remain calm. Managing career, home and family seems impossible for some adult with ADD/ADHD. However, ADD/ADHD can be managed with the right kind of education, support and creativity. If done the right way, these weaknesses can be converted to strengths and people can start succeeding in all that they do. Inability to focus. It is very difficult for the individual to pay attention on anything for long time. They get easily distracted, cannot listen to anyone for long, tend to overlook details, and are unable to complete their work or task. Increased focus. Just like lack of focus, people suffering from ADD/ADHD can suffer from hyper-focus as well. When they are working on some activity they like, they can get over engrossed and forget everything that is happening around them. They lose track of time and can cause problems in relationships. Chaotic life. The life of people suffering from ADD/ADHD can be much disorganized and seem very hectic. They have problems in time management, prioritizing and keeping track of tasks. Due to this they always end up being late or keep procrastinating. Being forgetful. Humans tend to forget things at time; however, it is common for people with ADD/ADHD. The forgetfulness can be menial or serious. They tend to be termed as careless due to this and can also cause problems in relationships and career. Being impulsive. ADD/ADHD can cause people to act without thinking. They interrupt conversations, rush through tasks and tend to be socially inappropriate. These adults shop impulsively and end up buying things they cannot afford. Emotional ups & down. ADD/ADHD can cause a lot of emotional upheavals and make the person feel bored easily. Due to this they look for exciting activities on whims. They are easily depressed and have mood swings. This can affect their personal and professional relationships. Low self-esteem. These individuals are very critical about themselves, which causes them to have a low self-image. This feeling roots from their inability to focus and other reasons which affect their relationships. The feeling of failure and underachievement makes them more negative. Low motivation. Since they have problems with focusing on one task and usually end up procrastinating, they feel very less motivated to finish any activity. Being anxious and restless. ADD/ADHD causes a person to keep working on something and doing things. When they are unable to do some activities immediately, they tend to get frustrated, which causes frustration and anxiety. Anxiety is a very commonly seen symptom. Health concerns. Symptoms of ADD/ADHD tend to affect the health of the individual as they might eat poorly, neglect exercise and forget medication. The constant anxiety and stress can also worsen the health condition. Relationship problems. People suffering from ADD/ADHD have various traits which can deteriorate relationships, whether personal or professional. They lack attention, cannot have long conversations, talk over and are easily bored. People think such a person is insensitive and irresponsible. Other common symptoms. Other symptoms include frequently changing jobs, not having many personal or professional achievements, indulging in alcohol consumption, tobacco and drug use, having frequent problems in relationships, including divorces, etc. ADD/ADHD is often treated with medication or counselling. However, the most effective treatment is a combination of both. Various drugs can be prescribed for treating ADD/ADHD, among which psychostimulants are the most common type of prescribed medication. The stimulants available are methylphenidate, dextroamphetamine, dextroamphetamine-amphetamine and lisdexamfetamine. They boost and balance the neurotransmitters in the brain to treat inattention and hyperactivity. They are available as short-acting or long-acting drugs. A patch, one long-acting drug, can be worn on the hip. Atomoxetin and anti-depressants like bupropion work slower than stimulants. The effect might take weeks to show. These drugs can be taken when stimulants cannot be taken because of the side effects, history of drug abuse or tic disorder. Combined with medication, psychotherapy is beneficial and provides education about the disorder. It helps in over-coming various signs and symptoms of ADD/ADHD. This counseling helps in changing negative thoughts to positive ones. It also teaches specific skill sets to deal with life challenges in various aspects and behavioral changes. It helps in dealing with depression, mental health conditions and substance abuse. This type of counselling is mainly targeted at the family members of the person suffering from ADHD. This helps them in dealing and coping with the various symptoms and the stress. It improves communication skill and enhances problem-solving skills of family members. When a person is aware of the challenges caused by ADD/ADHD, it becomes easier to make positive and structured changes in life. Some habits which can be inculcated in daily life to get symptoms under control should exercise regularly. Excess energy and aggression can be controlled with exercise and good food habits. Besides, it is important to sleep for 7-8 hours daily to get adequate rest and manage stress. Setting deadlines for tasks, using alarms and timers to keep track are also helpful. More efforts need to be put for maintaining relationships. Conscious efforts should be made in relationships and in work environments. 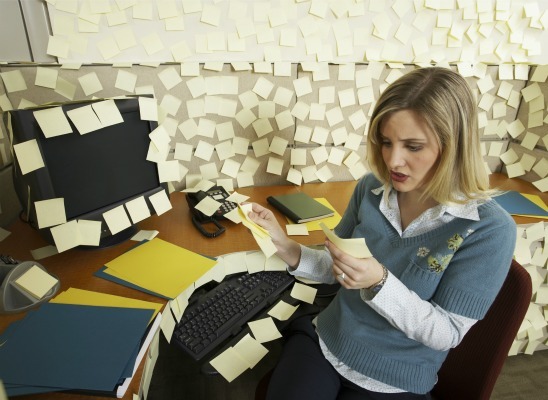 Use reminders, notes, lists, color-coding to make things easier at work.